Matt is an acquisition and operations specialist who excels at planning and execution while tracking risk and risk management and ensuring that cost, schedule, and performance goals are met. 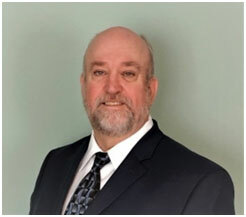 Matt is a certified DHS Level III Program Manager and a Level II Requirements Manager with a Masters in Quality Systems Management capped by Program Manager for the USCG Heavy Polar Icebreaker Program. He is a retired Coast Guard Captain (O6) with 26 years of decorated rotary aviation and 38 years of total service. He was a career pilot and the Deputy Chief of Aviation Forces managing the cost, schedule and performance of 10 major aviation programs, all in different lifecycle stages. He provided oversight to 30 subordinate aviation commands, 200 aircraft, $400M of facilities and a workforce of over 4,900 people with an annual program value of $4.5B in the employment of 115,000 flight hours in all weather. For the past eight years Dirigo Strategies, LLC, has provided targeted consulting advice to U.S. and overseas medium and large-sized companies seeking to sell marine products and services to navies, marines, and coast guards in the U.S., Canada, and Scandinavia. Current products represented include coastal vessel traffic and information management systems, military radars, heavy weather davits for launching boats, hull stress monitoring systems, amphibious Arctic crawlers, and environmentally friendly bio fuels and by-products. Dirigo Strategies is a member of the Maine International Trade Center (MITC), Marine and Oceanographic Technology Network (MOTN) and the Greater Portland Regional Chamber of Commerce.